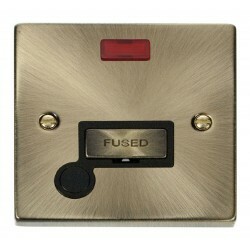 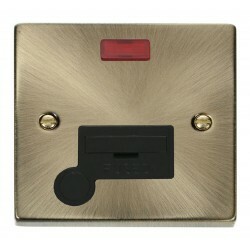 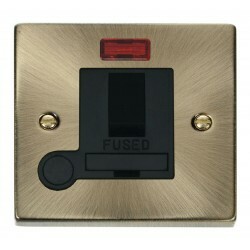 Click Deco Victorian Hotel Key Card Switch w/ Antique Brass & Black Cover at UK Electrical Supplies. 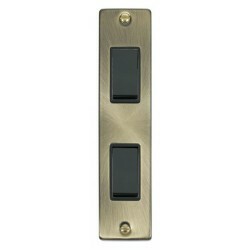 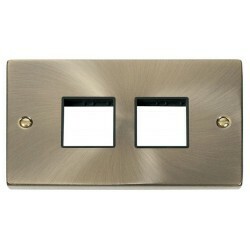 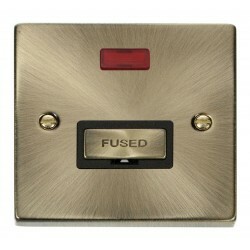 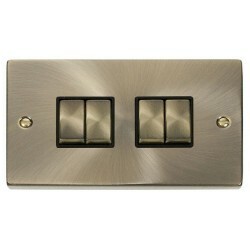 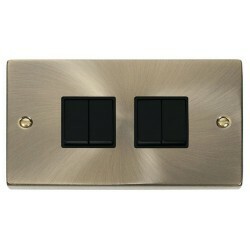 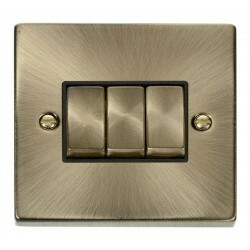 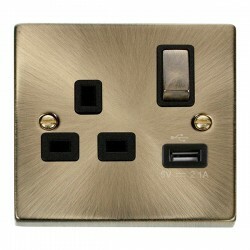 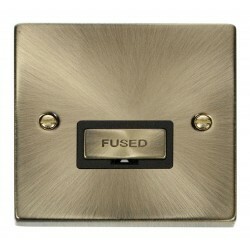 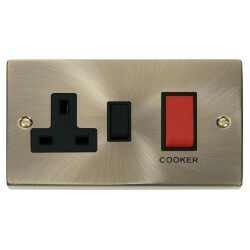 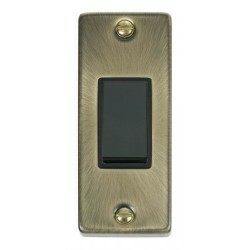 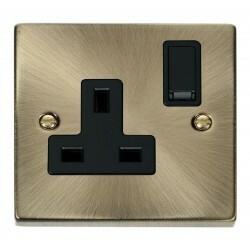 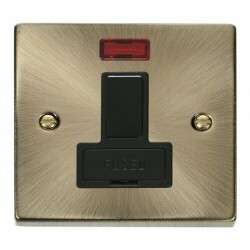 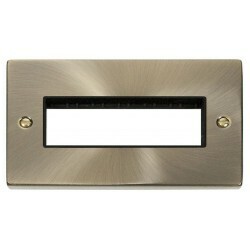 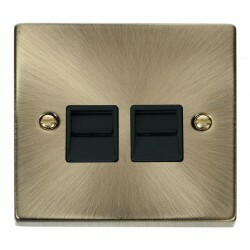 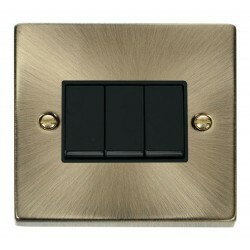 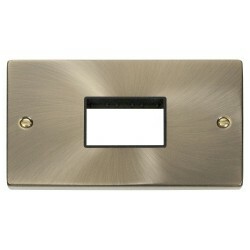 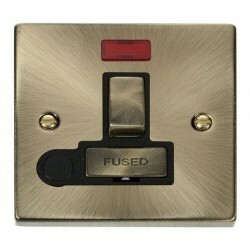 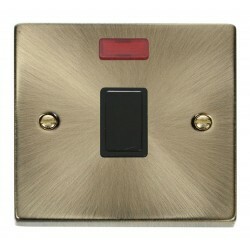 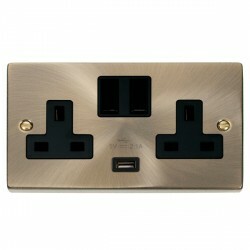 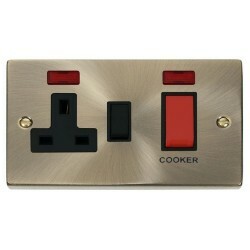 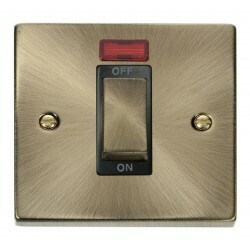 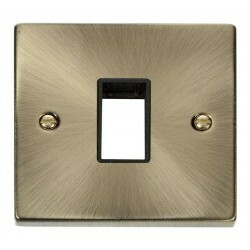 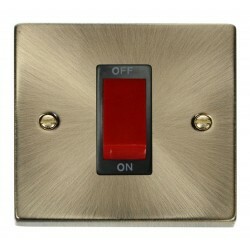 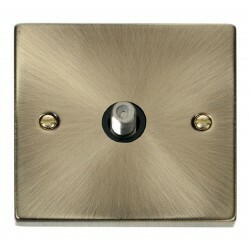 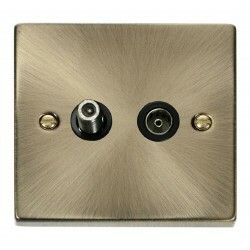 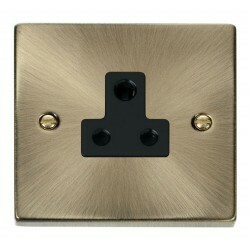 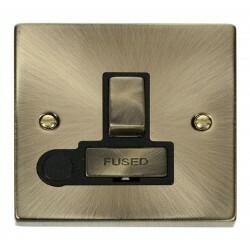 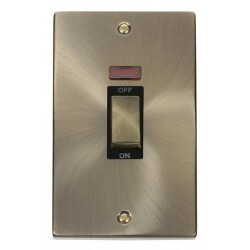 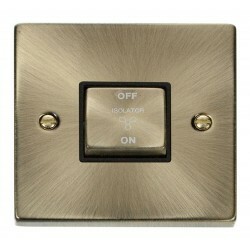 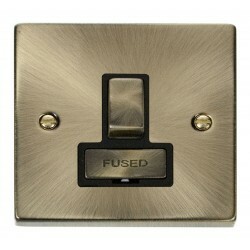 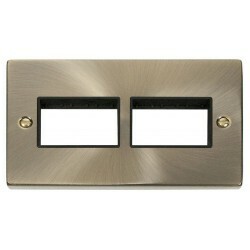 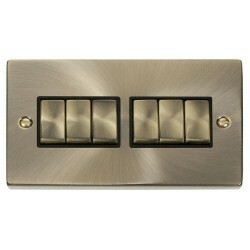 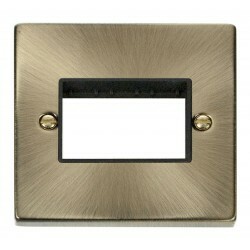 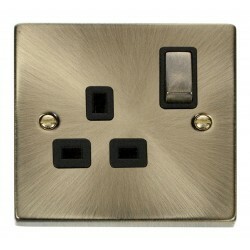 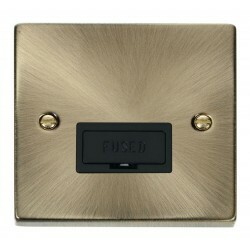 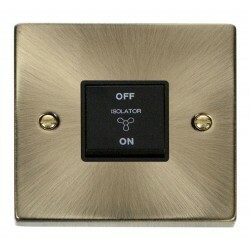 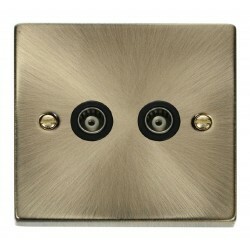 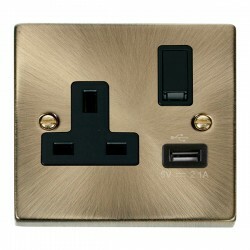 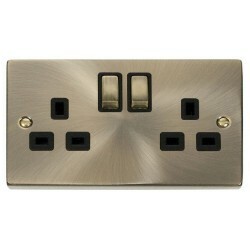 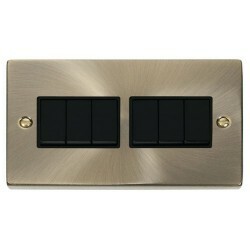 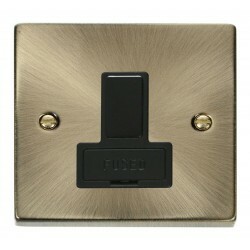 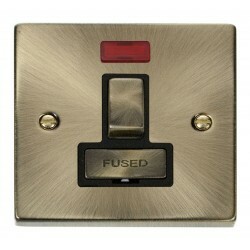 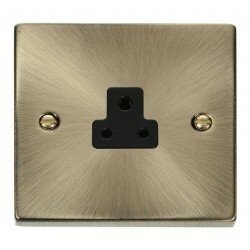 Click’s Deco Victorian Key Card Switch offers a great way to improve the efficiency of hotel rooms. 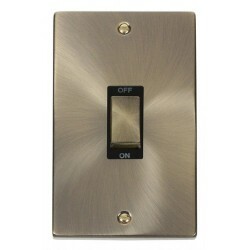 When used as a room’s main electrical switch, it guarantees that guests turn off their lights (and/or appliances) whenever they step out. 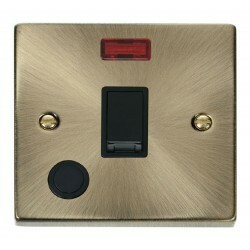 The clever euro module at the heart of the Key Card Switch has an adjustable timer, which can be set to continue providing power for anywhere from 10 seconds to 5 minutes after guests remove their cards. 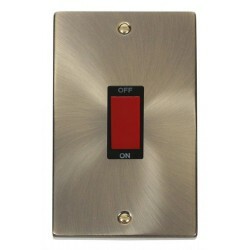 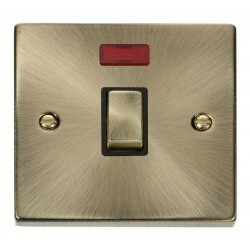 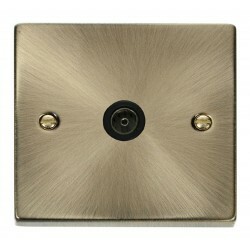 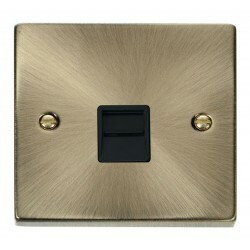 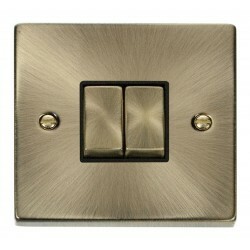 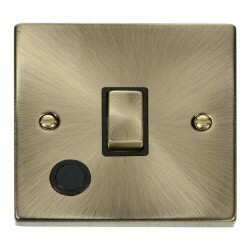 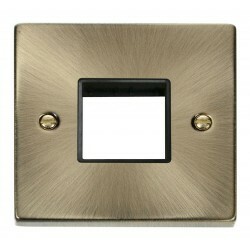 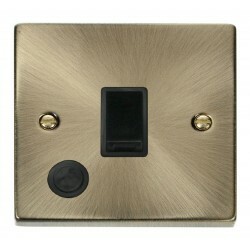 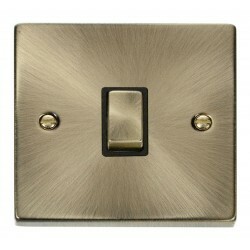 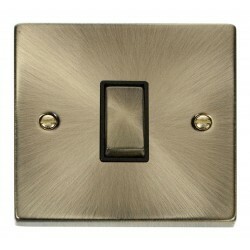 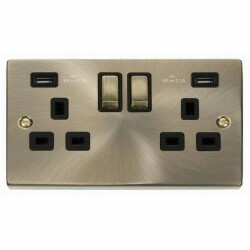 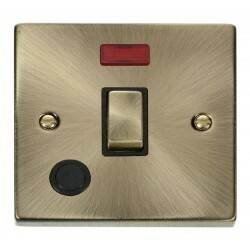 This convenient feature ensures a safe exit from the room, while the switch’s LED indicator makes it easy to spot upon returning. 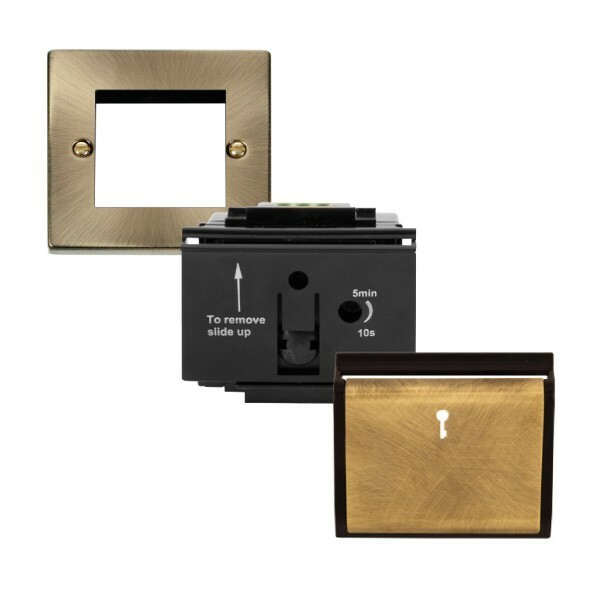 The versatile Antique Brass & Black model complements a wide range of décor and is compatible with a variety of different hotel card systems as well.